PHILADELPHIA, Pa. - A 25-year-old pregnant woman and her unborn child were killed following a double shooting in North Philadelphia early Wednesday morning. 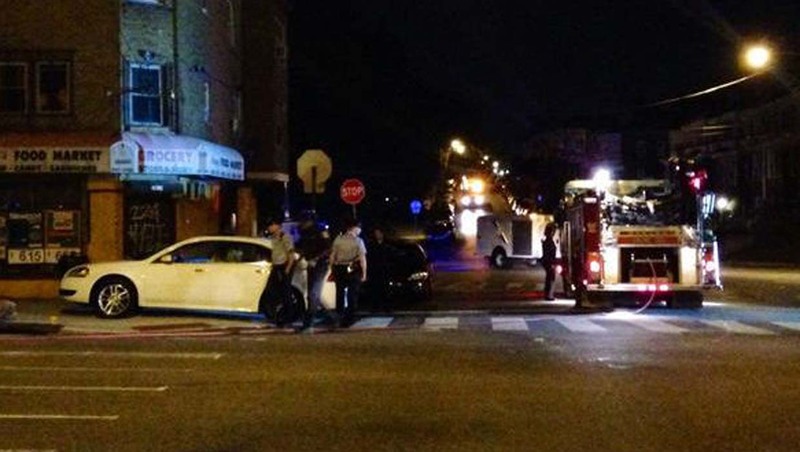 A 26-year-old man was also critically injured in the gunfire, reports CBS Philadelphia. When police arrived at the scene, they found the two victims on the street laying next to a Chevy Impala with the engine running. The car, which police believe belonged to the female victim, was marked with bullet holes. The woman and the man were both taken to a nearby hospital. According to the station, doctors performed an emergency delivery, but the newly-delivered baby did not survive and was pronounced about an hour later. The pregnant woman was pronounced dead at 1:03 a.m. Meanwhile, the male victim was shot in the back and the leg. He is currently in critical condition but expected to survive. Police believe at least 11 shots were fired based on ballistic evidence. Authorities found 20 spent shell casings on the sidewalk and the street, and police are currently searching for a suspect in the shooting, reports the station. Police say witnesses saw an unidentified man running after the shooting. Several witnesses were interviewed by homicide police. Several businesses in the area have surveillance cameras, and police hope to find information from going through the footage, according to the station.